So many folks try to say they hit a drive a certain distance based off the numbers they see on a tee marker, or what’s on the scorecard, and subtract the distance left to the green from fairway markers. Well, here’s photo evidence of why that doesn’t work! The tee marker says 513 from Blue (pic 1). You can see in pic 2 (standing at the marker) that the tee is up quite a bit. My cart was parked even with the blue tee marker, and the ACTUAL distance shows 450! I agree 100%, I bought a GPS unit about a year ago and it's been great for determining my yardages to the green from the fairways or the trees, but it totally burst my bubble as to how far I actually hit the ball off the tee on the long par 4s and 5s. Is the GPS doing straight line yardage and the marker going down the fairway? Yep. Ever since I got a range finder, I see at least a hole on every course that is much shorter than the stated yardage. And that doesn't include courses that move the tees up. A course in my area does the latter a lot. They have 4 boxes. The blue are always back, but the white are mostly up a box with the gold. The original men's tee is usually not used. Lots of courses do that on weekends to speed play. That’s somewhat obvious and as long as I’ve been playing everyone I know checks the tee where the actual marker is to see if playing longer or shorter. Whether it is straight line or going down the fairway, the pictures show the tee is way-up ahead of the marker. Either way, it’s playing significantly shorter than stated on the marker or scorecard. Either way it’s measured, it’s still 53 yards shorter. You’d think it would be obvious... I’ve played with three guys that saw how short a hole played, but STILL referenced the scorecard when determining how far they had hit a ball. My club is the only place where I’ve ever played where a number of holes register longer on GPS than the card - always. 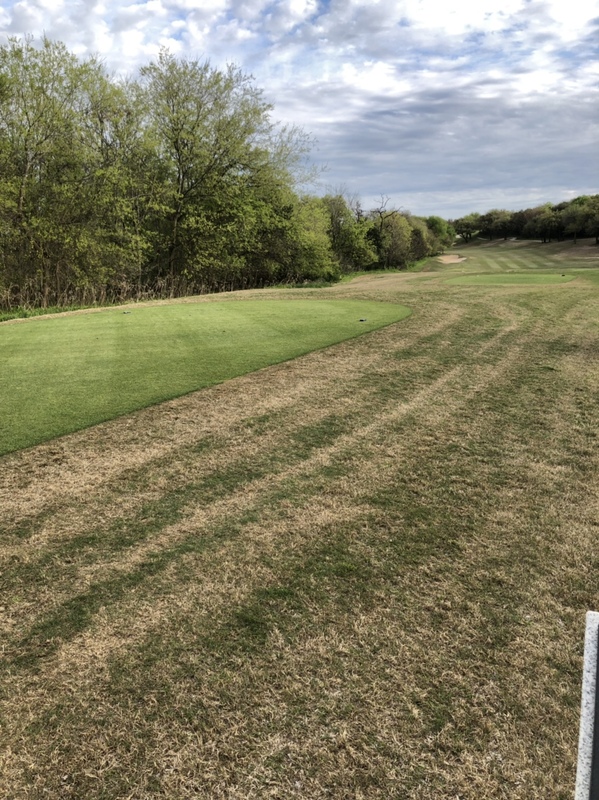 It’s because the made errors in measuring some holes when the course was laid out and it’s never been changed on the signs - the handicap team adjusted course ratings for it when they were here 3 years ago to reassess the course rating and slope from all tees. 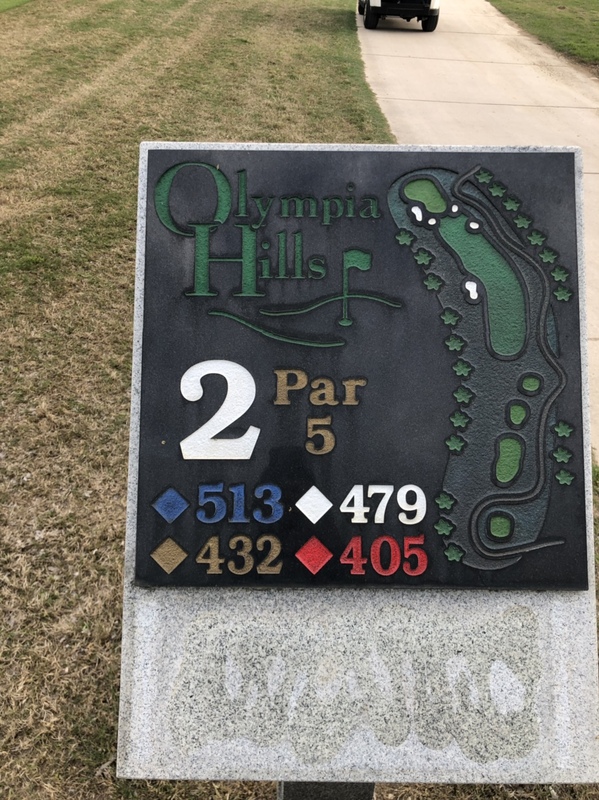 Of course the inaccurate holes are the long par 4’s 1, 8, 9, 18. And yes PMookie is correct that many people over estimate their distances by simply going off the card and failing to account for tees being moved up or doglegs. This does bring in the benefits of Arccos and ShotScope. It is really difficult to say that you hit a drive of 313yds when the system just measures the distance between hits. Cold hard facts. Facts - don’t bother me with them man! The same guys that take "a muliigan a side" dont take correct stroke and distance penalties, are liberal in picking up those 3 footers, and at the end show 88 on their scorecard when in fact it was probably closer to 103....you mean those guys. But hey if they are just playing for fun, then no biggie. But if we're playing a match for even a Coke.....then not cool. I haven’t used arccos or any other dvice like it on a club but in my understanding the problem I have with them is they measure total distance. This can give a false sense of distance. If it says one hits their 7i 160 yards but really it’s 152 with 8 yards of roll out and the person needs to carry something at 160 they will think need their 7 then hit, come up short and potentially roll into trouble they are going to be upset and may even complain they didn’t hit a good shot even though they hit their normal shot. If a hole has a brick at the tee that says "official yardage marker", subtract that off how far up the tee is from it. If a hole has sticks that show distance from the green, are they to the middle or to the hole? That would be a question for the staff. My course has permanent markers in the ground. I would imagine that with the official marker brick, the tee, and the other concrete yardage markers, one could estimate to within 2-3 yds what the actual distance of the tee shot was. I agree, but it is also player dependent. 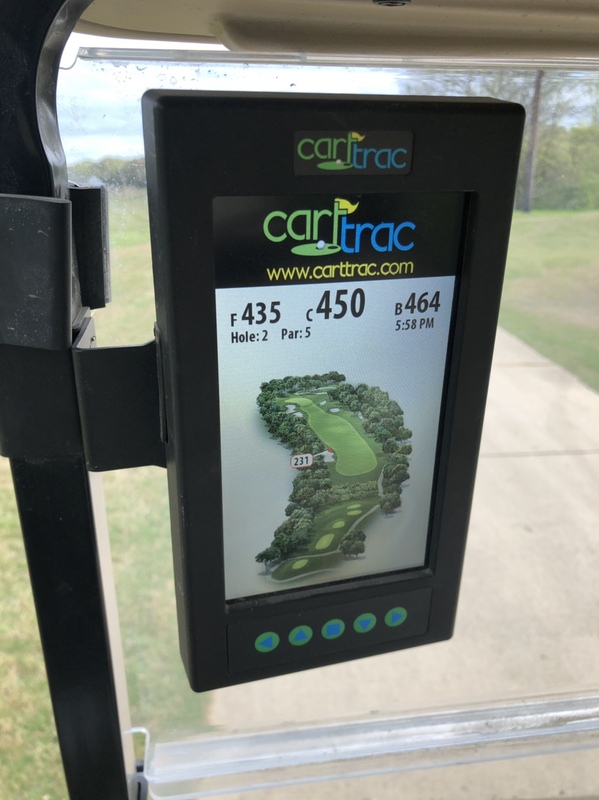 I've used the data collected by Game Golf to determine how far I hit each club, and launch monitor data puts me within 5 yards of carry distance at most. In other words, I can get the ball up and put enough spin on it to stop quickly for most of my irons. It will also depend too on course conditions, but my experience has led me to believe I can trust the data is accurate enough. Excellent point though. There are plenty of golfers with a low ball flight or that play distance balls that make it more difficult to stop where you want it. After using the Arccos system last season, you do need to also remember that it is an average for you clubs. It does give you your club range i.e. 7i 145-160. So you as a golfer have to be realistic with yourself otherwise you can and will be off on distances and carry..
For a straight hole this works quite well. The issue about distance comes into play when you cut corners on holes with doglegs. Those official distances are based on playing the "normal" path to the hole. Lets say you have a 400 yard hole that doglegs 90* left. The spot that the hole turns left is 100 yards from the hole based on the marker and the fairway is 30 yards wide at that point. Two players hit tee shots from the official marker brick that says 400. Both tee shots are even with the 100 yard marker from the hole. When looking at the hole, one player is on the left edge of the fairway and one is on the right edge. Did they both hit the ball 300 yards? Yup, agree. I've noted that a number of times trying to use the scorecard only - often suggesting a much longer drive than it is. My Golf Buddy Voice 2 has a function that measures hit length and it is pretty accurate. Yesterday I flushed a drive that the three devices we had among us measured to be 292-299 yards. Wind at our back and caught the dry downslope. Using the permanent marker at the tee, and subtracting what GB said was remaining to center of green yielded 293 - so in this case pretty accurate. Never judge the distance by the card ... whether it's for "how far you hit that one off the tee" or "how far is this hole." The official distance is usually measured from the "official" USGA placquerd disc by every tee box to the middle of the green to get the yardage on the card. Tee markers are moved every day so as to not wear out the same spot on the tee box. Why do you think you see the Pro's & their caddies on TV stepping off the distance from the USGA marker to where the tee markers are now sitting? To get the actual yardage, to add or subtract from the official distance of the hole. There are too many things out there to help you with distance nowadays. 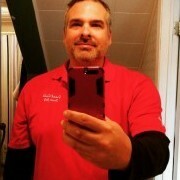 From GPS units on carts, to your pocket rangefinder, and the handheld GPS units. These you can actually hit a button from where you're standing (mark) and then hit it again once you get to where your ball is (2nd Mark). If distance is really your concern, then this is what you need. Back in my day of growing up playing, hell .... I had to walk things off, look at the red, white & blue markers in the fairway to get my yardages. I never really cared how far it went from the tee box, I was too concerned with the next more important shot at hand.